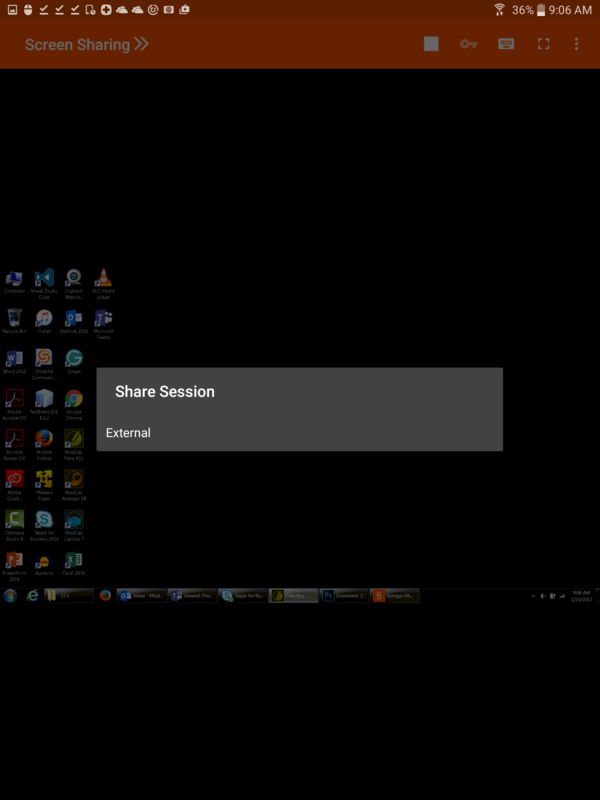 Within a session, a user can request an external user to participate in a session one time only. 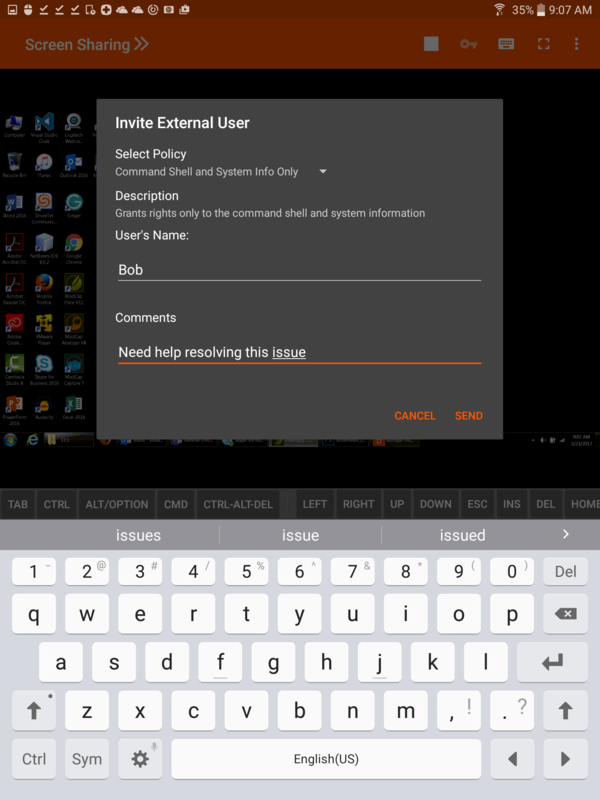 The inviting user should tap the flyout menu and select Share Session menu. 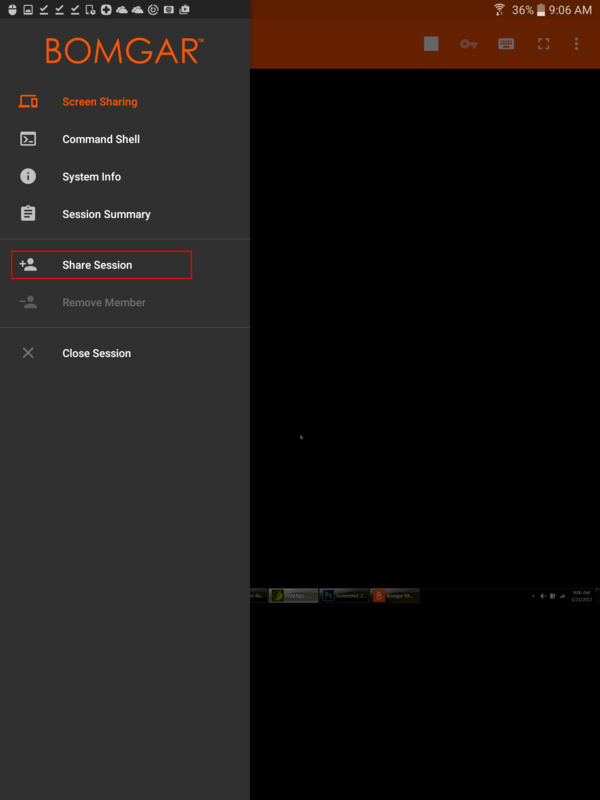 Select External and then Invite External User. Tap the Invite button to proceed. Next, select a security policy. These policies are created in the administrative interface and determine the level of permission the external user has. When you select a policy, the full description displays below. Enter the external user's name. This name appears in the chat window and in reports. Next, enter comments about why this user has been invited. Click Send, and a new dialog containing the invitation URL appears. Depending on the options selected by your administrator, you may be able to send the invitation from your local email or from a server side email. You also can copy and paste the direct URL to the external user. The external user needs to download and run the access console installer, which is an abbreviated process from the full access console installation. 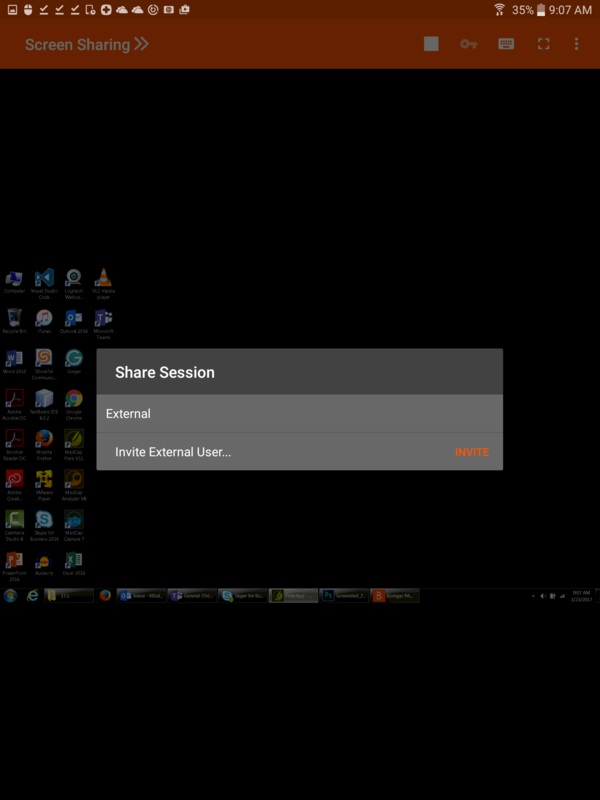 The external user has access only to the Session tab and has a limited set of privileges. The external user can never be the session owner. When the inviting user leaves the session, the external user is logged out.